Social Commitment - Kruger Inc.
As we continue to expand our portfolio, we adhere to the principles of sustainable development and strive to be a responsible, committed corporate citizen each and every day. As an example of our commitment to being a good neighbour everywhere we have operations, Kruger Energy organizes annual meetings and festivities with the owners of the lands on which our wind turbines are located. 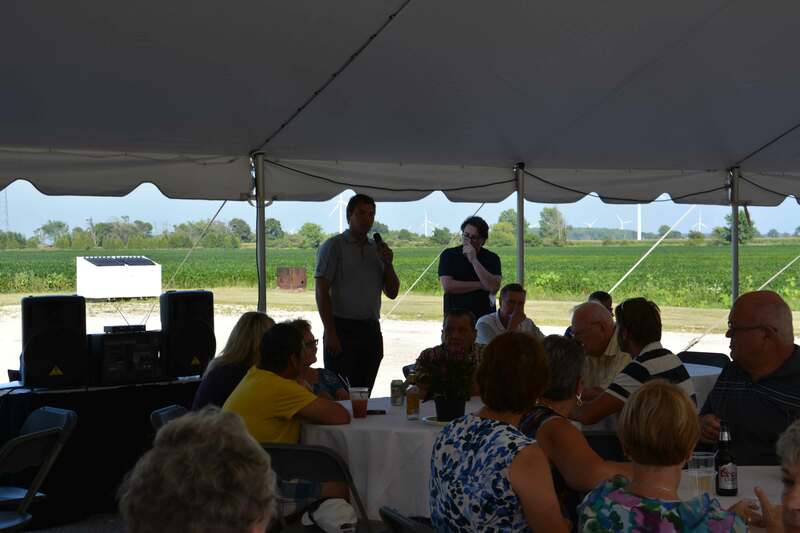 These annual get-togethers are an opportunity for our team members to meet with the landowners, answer their questions and, most importantly, build strong and lasting relationships with the local community. JJ Davis, Operations and Maintenance Manager – Ontario, accompanied by Pierre Janelle, VP, Operations and Asset Management, Kruger Energy, during the 2016 Chatham Landowners’ BBQ event. Kruger Energy is wholeheartedly committed to the well-being of the communities in which we operate. Whether it’s through donations or sponsorships, we understand the importance of playing an active role in these municipalities. 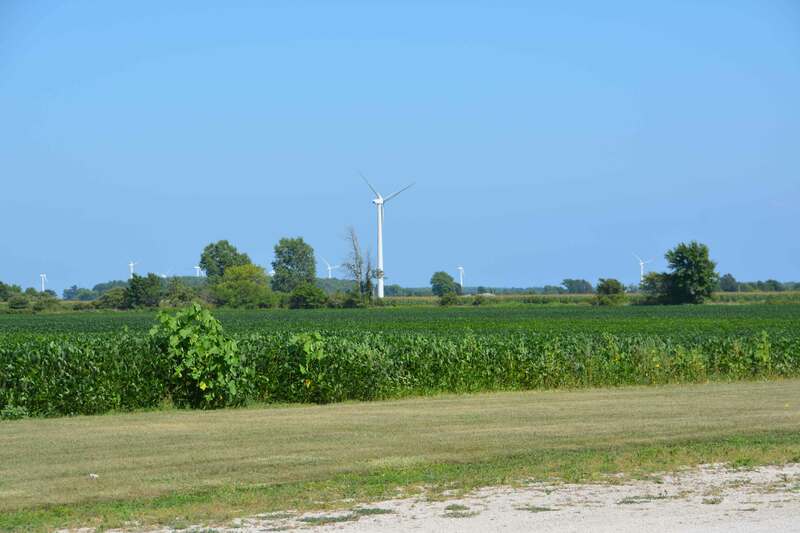 Over the years, Kruger Energy has been an important donor for the Chatham Y Foundation and the Children’s Treatment Centre Foundation of Chatham-Kent. We are also a sponsor of Vents d’espoir de la Vallée du Saint-Laurent, which is dedicated to adults with brain trauma and physical disabilities. 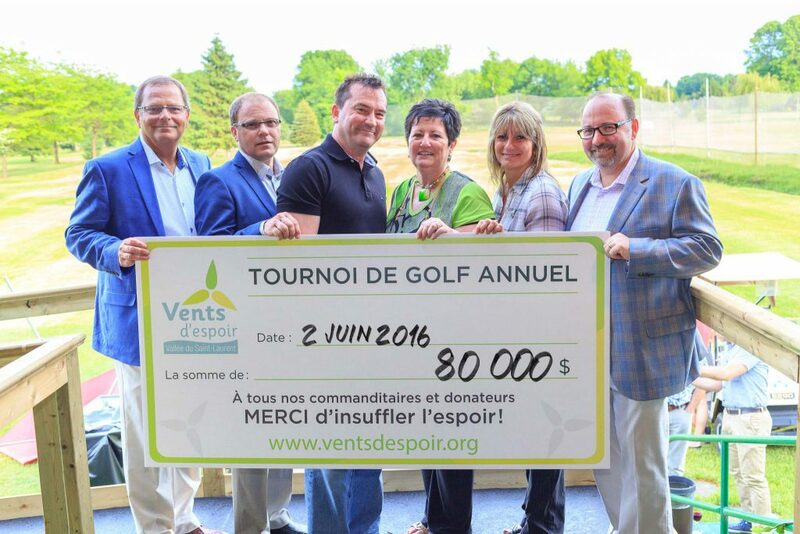 Kruger Energy is a proud supporter of Vents d’espoir, a non-profit organization that aims to build a residential facility for adults with physical disabilities in Montérégie. At their 2016 fundraising golf tournament, pictured left are: Michel Robidoux, VP, Planning and Administration, Desjardins Securities; Jean-Guy Hamelin, Mayor of Saint-Michel; Alain Therrien, MNA; Sylvie Boyer, Founder of Vents d’espoir; Sylvie Gagnon-Breton, Mayor of Saint-Rémi; and Jean Roy, Senior VP and COO, Kruger Energy. 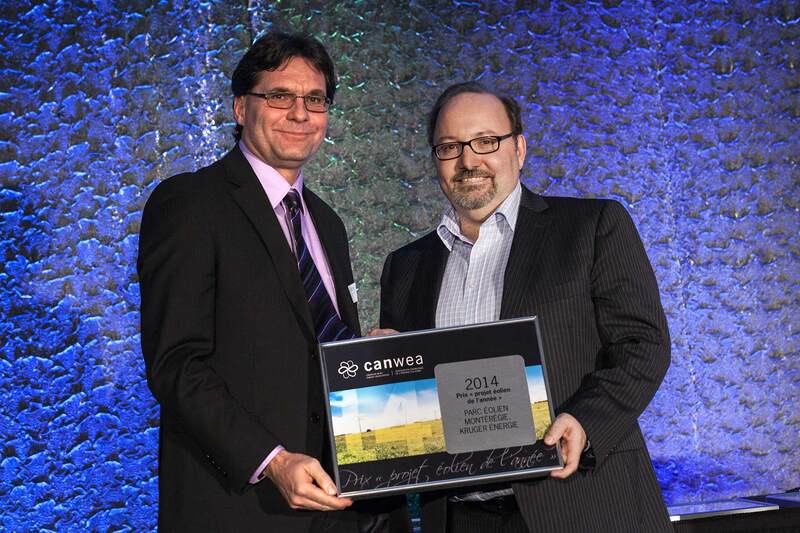 The Canadian Wind Energy Association (CanWEA) presented Kruger Energy with the CanWEA Wind Energy Project Award in 2014. The Wind Energy TechnoCentre of Québec awarded Kruger Energy first place in the “Wind Farm Developer and Operator” category at the 4th Québec Wind Industry Gala. 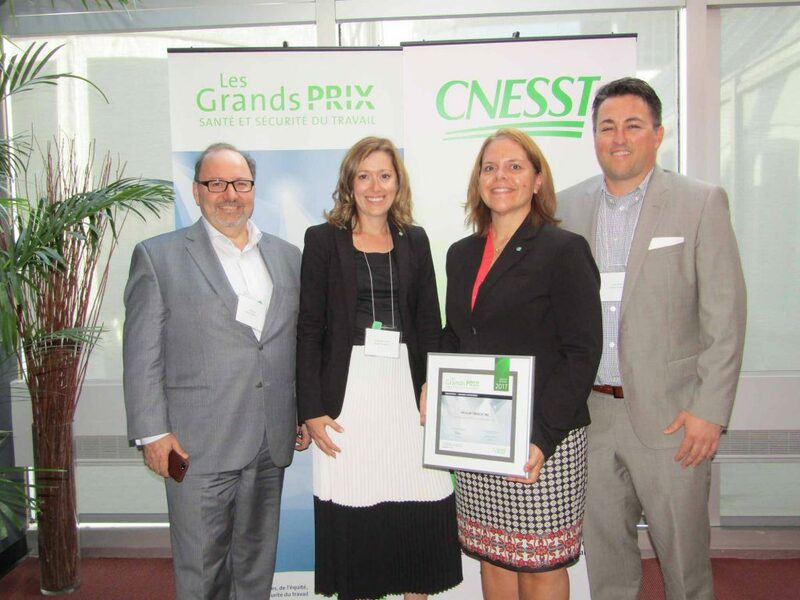 The CNESST (Québec’s labour standards, pay equity and workplace health and safety board) awarded Kruger Energy with the 2017 “Grands Prix santé et sécurité du travail” in the Innovation category. From left to right: Gilles Côté, Sustainability Manager; Martin Thibaudeau, formerly Operations and Maintenance Manager of Kruger Energy’s Québec facilities; and Charles Tisseyre, Honorary President of the third edition of the Conscientia Gala. 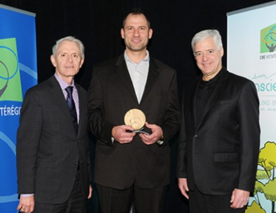 Robert Hornung (on the left), President, Canadian Wind Energy Association, presented the 2014 Wind Energy Project Award to Jean Roy (on the right), Senior Vice President and Chief Operating Officer, Kruger Energy. From left to right: Mr. Jean Roy, SVP and COO, Kruger Energy; Anne-Marie Piché, HR Technician; Mélanie Simon, HR Manager; and Pierre Janelle, VP Operations and Asset Management.